In MOOCS: The Essential Guide, I used the rise of the ebook to illustrate something called “The Hype Curve,” a phenomenon that tends to repeat itself whenever a new technology (like ebooks or MOOCs) intersect with politics and media. 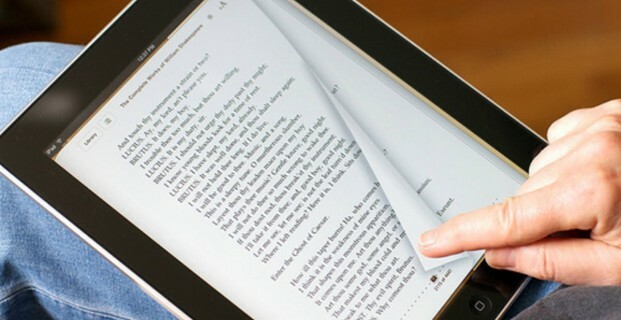 Ebooks had been around for a while before a “trigger event” created the perception that they had arrived as a game- and industry-changing phenomenon. That trigger was the Kindle, just one of many book-reading devices but one that was supported by Amazon (the world’s biggest book retailer) and – even more crucially – by enough major publishers for the Kindle to drag the whole ebook concept into critical-mass territory. That trajectory is interesting from a number of perspectives (such as what happens when the media intersects with technology, economics and culture). But for purposes of this series on serious self-publishing, what the ebook introduced to the book market was (1) zero cost of production and (2) zero costs related to getting a physical product into the consumer’s hands. As you read in the last entry to this series, self-publishing based on print books is alive and dynamic, with print-on-demand providing economical options for small publishers that did not exist just a few years ago. But while it’s impressive to be able to product a single copy of a 250 page book with a four-color cover for $4 a copy and ship it to a customer for about the same price, that’s got nothing on the business impact of an all-in ebook transaction costing $0. Given the brave, new frictionless world of commerce in digital products, it’s no surprise that more robust competition arose in the ebook world than short-run/custom print. In addition to Amazon, all the major device makers (such as Apple) got into the game, as did major book retailers (notably Barnes and Noble with their Nook device). In theory, comprehensive ebook publishing involves creating versions of a book for each and every one of those devices and then getting your newly converted ebook into retail stores managed by these various entities, such as iTunes or the B&N Nook market. But a couple of factors make this process less onerous for a self-publisher than it might first seem. First, while there are over a dozen devices and markets for mainstream ebooks, there are really just two formats you need to contend with: the MOBI file (which runs on Kindle) and EPUB (which runs on everything else). And while converting your manuscript to one or both of these formats takes some tinkering, the path from MS Word to ebook file is well worn and communities exist across the Web to help you debug your book for these, admittedly, finicky file formats. Also, while you can maximize the amount you keep from each sale by adding your book to each individual market yourself, companies like Smashwords will make your book available on nearly all stores for all devices for just a small slice of each sale. The only format/device/distributor Smashwords and similar companies don’t service is MOBI/Kindle/Amazon. And it to the split between Amazon and everyone else that this series will turn to next week.